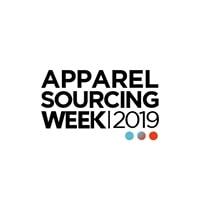 The Apparel Sourcing week is a one of its kind event that not only provides the manufacturers and retailers an opportunity to engage with one another through the multiple panel discussions but also provides the manufacturers an opportunity to present their collections to the retailers. Apparel Resources aims to create the Apparel Sourcing Week as a Go-To Sourcing Destination for the Asian market where going forward all the manufacturers of Asia - India, Bangladesh, Sri Lanka, Pakistan, Nepal, Vietnam, Cambodia, Myanmar, Indonesia & China will be participating to showcase their manufacturing capabilities and products to the buyers from not just the traditional markets like USA and Europe but also from the non-traditional markets where we believe the future lies that is India, China, Japan & Australia. It has a close proximity to most of the manufacturing destinations and also happens to be one of the growing retail nations. International retailers and brands are lining up to open their stores in the country, not to undermine the growing number of local brands and retail chains, and cash & carry stores. The current fashion retail market, which is worth US $ 46 billion today, is projected to grow at a promising CAGR of 9.7 per cent to reach US $ 115 billion by 2026. 1) Indian Brands & Retailers with 100+ Stores Owners, CxOs, Sourcing Heads, Buying Heads, Designers & Category Heads Brands & Retailers. 2) Online Brands & Retailers - India is a hot selling destination for online fashion -visitors will include buying teams from Amazon, Myntra, Jabong, Flipkart. 3) International brands having stores in India International Brands that have multiple stores in India and are looking at getting their manufacturing done from India or Bangladesh. 4) Buying Offices/ Liaison Office Buying Offices and Liaison Offices of International Brands getting their international sourcing done from the region.